After a stint in Anthony Maintain‘s live set, Apocalypse Later is now seeing the light of day. A banger of an Anthony Maintain track, with a little verbal assistance from Onry Ozzborn and Meganoke, this track is haunting in the best ways. 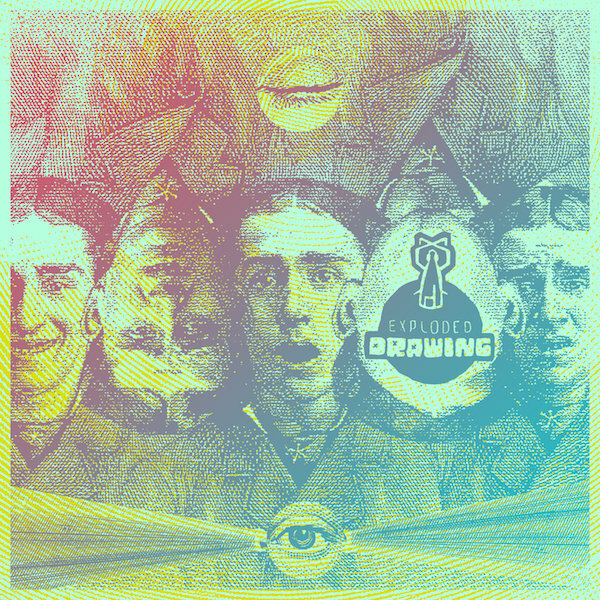 Exploded Drawing is an endless abyss of talent… mad buttons getting pushed in our collective. Every year during SXSW, the kind folks that curate the monthly event take the time to put together a retrospective of those involved with the family. Here’s 2014, and it’s a banger. Purchase of this cassette gets you 13 original songs, plus a killer digital version containing an additional 13 remixes from Lo Phi, Soundfounder, Chief and TheDoomsdayDevice, Kinder and more. Support good music. For a sneak preview listen, click here. My favorite Bruin fan, Anthony Maintain, has been hella busy in the studio lately. After sneak previewing the world to The Elephant Race before it was picked up by iNSECT Records, he has steadily worked on and released high quality music, both old and new. Shortly after The Elephant Race was pulled in order to prepare for its official release (and its companion piece full of remixes by myself and other Exploded Drawing alumni), Maintain released The Elephant Runts, a collection of work that didn’t quite make the cut for the LP, but are still worth a listen. Stay tuned… there will be much more coming from his direction in the near future. A former Bostonian, now an Austinite… Anthony Maintain has become an integral part of the beat scene that has grown in the capitol city. After time with the Locksmiths and countless side projects/collaborations, the time has come for his first instrumental solo release, and it’s a monster. I could go on and on about how great it is, or I can just tell you that it’s a steal at $5. It is actually less smart to not download this.